The foundation of the work that started the church can be traced back to 1997. During this year, several ladies, Joyce Matjila, Portia Manyane, Tembeka Ncoca, Lesego Monama, Tshepiso Phaswana and others, worked tirelessly to start an Adventist fellowship at the University of Pretoria. For our Sabbath worship we would travel together for worship to Mamelodi Central Church. We were a group of 5 to 7 students comprising of the ladies above, Takalani Tshivhase, Dr. Andries Malebogo Legodi and Dr. Nompumelelo Happyworth Obokoh. The worship experience at Mamelodi Central was heavenly and we were well received. After six days of labouring and toiling, a Sabbath at Mamelodi was like going home. We were well taken care of by the families and embraced by the local youth. In 1998, Joyce Jakavula (Matjila) started the work to ensure that the Church was registered. She obtained a template of the constitution and Advocate Mkhize then in the SDASA leadership assisted in ensuring that we had a working constitution. Posters were put all around the campus calling on all Adventists to a meeting. The response was not positive. Nonetheless, the meeting took place on the steps of the Aula chaired by Joyce Jakavula. The constitution was adopted at the meeting and an Executive Committee to lead the church was elected. The constitution was adopted and the structure was named – TUKS Adventist Christian Fellowship and it was registered with the SRC. At the beginning of the second semester of 1999, a decision was taken to start worshiping on campus when Andries Legodi made an appeal that it was time to start worshiping on campus. Our worship venue was the Theology building. We were joined by several individuals namely, Dakalo Ramugumo, Tshifhiwa Ramugumo, Pitso Mokete, Linda Kula and Sipho Mabena, Tidimalo Mahlangu and Lesego Mahlangu. The theme for the day was “Christ Our Solid rock”. On the 9th of October 1999 – our church was made official at the Theology building, Hall 2-25 at the University of Pretoria. The officiating Pastors were Dr. Anthony Maina Nderitu, Pastor Tiyani Mongwe and Pastor Patrick Jones. The words “Let there be a church” uttered by Dr. Anthony still ring today as though they were uttered yesterday. We had the mighty Technicon Northern Gauteng (now TUT Soshanguve SDASM), Medunsa and Wits SDASM Churches fellowshipping with us. • The Sabbath School was based on 2 Chronicles – “If my people, who are called by my name, will humble themselves and pray and seek my face and turn from their wicked ways, then I will hear from heaven, and I will forgive their sin and will heal their land”. • The main Service was delivered by Pastor Patrese Patrick Figueiredo Jones. • The Afternoon Service was the actual officiation. Elder Zantsi gave us the challenge to work towards filling the Theology building Lecture Hall 2-25 on a normal Sabbath without visitors – This was later termed: Vision 2-25. Lulama was a Capetonian who was then one of the Leaders of SDASA, who found himself in Pretoria in the late 90s. Lulama had a vast experience in student leadership from UWC and Peninsula Technikon churches. He was invited to preach on our second Sabbath and he titled his sermon – “Singing the Lord’s song in a strange Land”. Post that sermon, he never left – he remained and guided us. He came with the idea of officially launching the church. Although we had passion, the church did not have a gift of singing. Elder Zantsi and two ladies, Zandi and Andiswa Batwali, came and assisted us with our music department. That Lord brought Elijah, an Adventist student leader to SDASM@TUKS all the way from Kenya. He was a natural teacher with a vast knowledge of the Spirit of Prophecy. The Lord organised Pastor Anthony as the church did not have an official program/department for campus churches. Pastor Anthony became the first Pastor of SDASM@TUKS. Hailing from Kenya, Pastor Anthony was a mild-toned preacher. He preached many thought-provoking sermons at SDASM@TUKS such as, “What is a Church?”, “What is the Sabbath?”, “Internalising principle”. Uncle T and Pastor Anthony became our official Pastors. We were privileged to see the best of Uncle T at TUKS. It was here at TUKS where he preached sermons that would never be forgotten – “From Strength to Strength”, “John Mark – the write-off”. As a professional physiologist, he gave us many free professional counseling sessions. The church was small but the members were focused and committed. It is always admirable to witness how in a small setting you see God’s spiritual gifts at work. We had everything we needed, teaching, preaching, and singing. Our new venue became Kloostersal (now a Dining Hall for the Day Scholars). It was a bigger venue that can fill 250 individuals and it gave us an impression that there was bigger work to be done. This challenge was intimidating given that we were only a few worshipers. 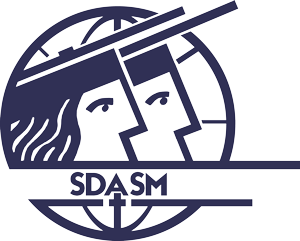 Due to the similarity of our name with that of the popular student church on campus, TUKS Christian Student Fellowship (TSCF), a decision was taken to change our name to “Seventh-Day Adventist @ TUKS” (SDA@TUKS). In 2002, the church at the union level developed an official program for secular tertiary Institutions. In line with that program, a new constitution was adopted and we became known as SDASM@TUKS.